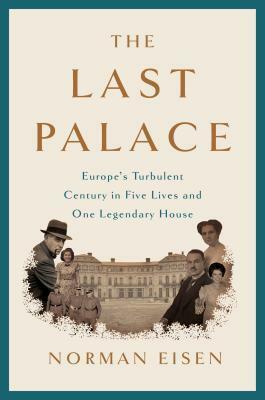 Ambassador Norman Eisen is the author of The Last Palace: Europes Turbulent Century in Five Lives and One Legendary House, forthcoming on September 4, 2018. He is a senior fellow at Brookings, a CNN political commentator, and the chair of the government watchdog group CREW. Eisen served from 2009 to 2011 in the White House as President Obamas ethics czar and as the U.S. Ambassador to the Czech Republic from 2011 to 2014. Eisens book tells the story of liberalism and illiberalism through the lives of the people who preceded him in his ambassadorial residence in Prague: its Jewish builder, Nazi occupier, post-WWII American savior, and Cold War movie star-ambassador. Interwoven throughout is the story of his mother, a Czech Holocaust survivor who sent him back to Prague to live in the palace once occupied by the Nazis--and was his best advisor as he took on their modern-day successors. Eisens writing has appeared in the New York Times, the Washington Post, USA Today, and Politico. He has been profiled in the Washington Post, New York Magazine, Politico, The Wall Street Journal, and Tablet. Eisen was named #11 on the Politico 50 list of thinkers shaping American politics, and to the Forward 50 list of the most influential and interesting American Jews.